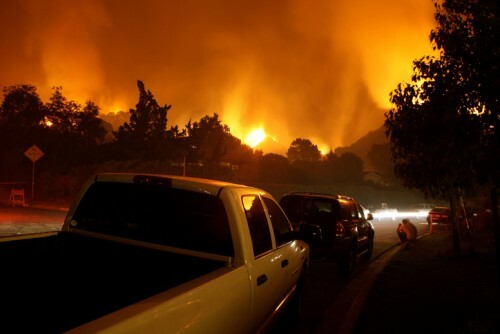 The wildfire season in California may be over, but insurers and their customers are still reeling from the aftermath of devastating losses relating to homes, businesses and vehicles. On Jan. 31, California’s Department of Insurance released the final number of total claims and losses. While original estimates put the figure at $2 billion, Insurance Commissioner Dave Jones reported that insurers have received almost 45,000 insurance claims totalling close to $12 billion in losses. The displacement of people from their homes and communities continues to be top of mind for the VP. “The first thing that came out of it was trying to find accommodations for these people,” said Gatewood. “When one house burns downs, you have hotels and rental properties - there are a lot of options,” but with thousands of homes, rental properties and hotels gone, Gatewood said it became more difficult to find housing close to people’s communities where their children could continue going to school. With losses this extensive, a swift conclusion to the process of assessing damage will not be coming any time soon. Fine art insurers likewise saw losses from the fires and ensuing mudslides. Along with the hurricanes and floods that devastated parts of the US in 2017, Huntington T. Block’s President and CEO Joe Dunn said he’s seeing costly claims that are still coming in. “From ourselves and what I’m hearing, the claims are into tens of millions, and potentially higher,” he said, adding, “I don’t think we’ve realized all the impacts,” pointing to an event like Hurricane Maria in Puerto Rico that also left damage in its wake. Insiders predict that changes to the industry are coming as a result of natural disasters. In California, Gatewood pointed to one segment of the industry that could be altered by the wildfires. “The thing that’s unique about this was that not all of the homes that burned down were in heavy brush zones,” he said. “I think that there will be some review of wildfire brush underwriting,” in terms of the properties considered to be at risk. In the future, Gatewood sees a general rate increase in the market and points at the wildfires, as well as climate events affecting Texas and Florida, for this potential increase. Globally, the cost to the industry from wildfires and other major catastrophes was huge in 2017. In fact, it was a record-breaking year for insurance losses from natural disasters around the world. The effects of mass damage are already evident in company earnings. XL Group reported an operating net loss for the full year of US$521.6 million due to natural catastrophe pre-tax losses that came to US$315.2 million in the fourth quarter – almost US$70 million more than the previous quarter. Will natural catastrophe losses drive spike in reinsurance ratings?